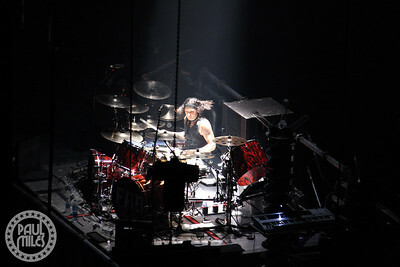 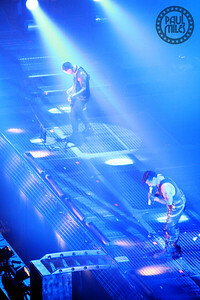 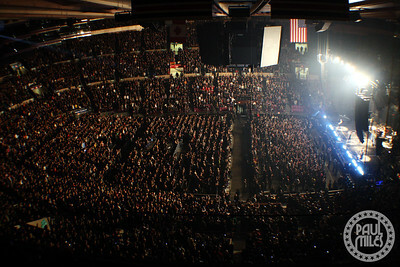 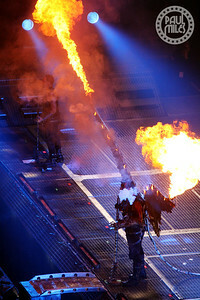 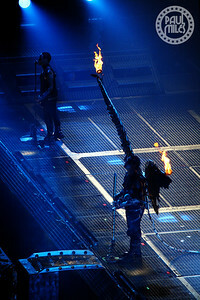 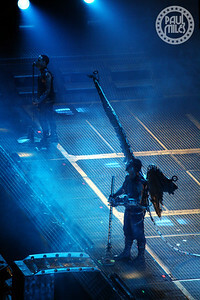 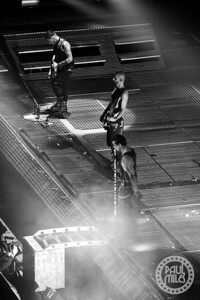 Germany's Rammstein played their first show on US soil for nine years at New York City's famous Madison Square Gardens on 12 December 2010. 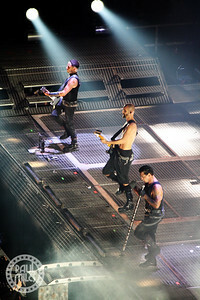 The sold-out Rammstein show featured Till Lindemann on lead vocals, Richard Z. Kruspe and Paul H. Landers guitars, Oliver "Ollie" Riedel on bass, Christoph "Doom" Schneider on drums, Christian "Flake" Lorenz on keyboards, a huge amount of pyrotechnics. 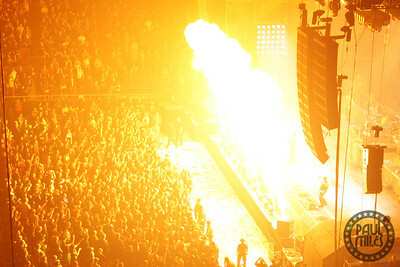 I caught the action from the safety of a skybox. 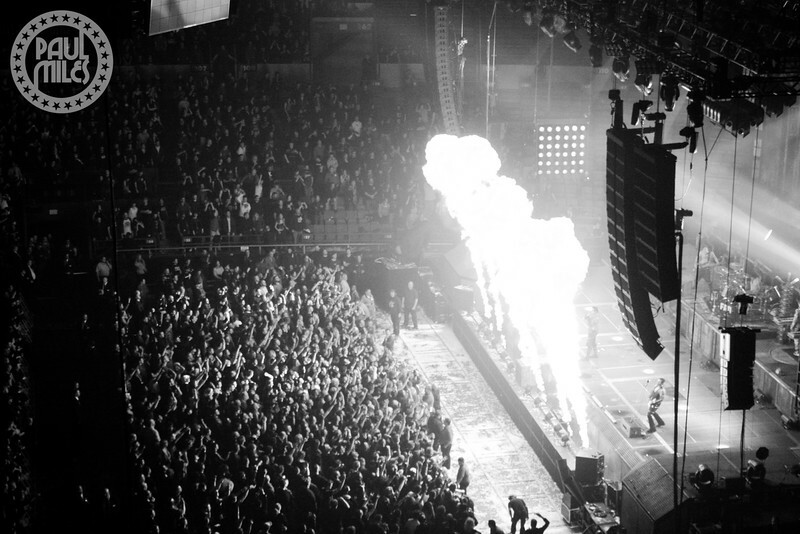 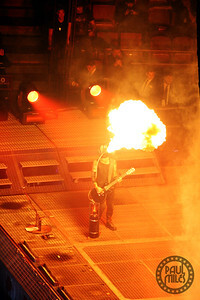 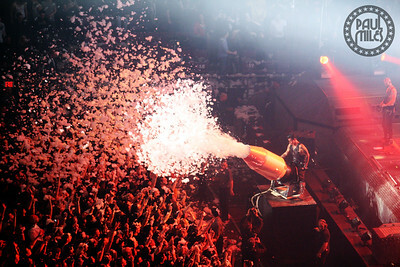 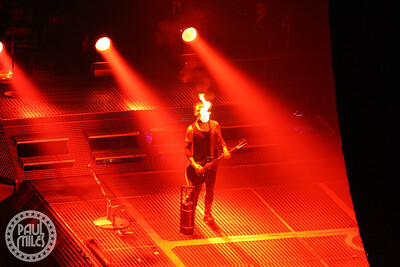 MADISON SQUARE GARDEN: Pyro display during Rammstein’s sold-out show at New York City's most famous arena, 2010.